More than 500 fourth-grade students descended upon Camp Cullom Wednesday and Thursday for the 21st annual Farm Education Conservation Camp. The annual event is sponsored by the Clinton County Soil and Water Conservation District and Farm Bureau, Inc. The organizer’s goal of Farm Education Conservation Camp is to is to educate the youth about the science behind how food their food and fiber are produced; appreciate the role agriculture plays in providing a safe, abundant and affordable food supply and to value the essential role of agriculture in maintaining a strong economy. Students from all public schools in the county attended the 2-day event. Classes rotated to a different session every 20 minutes throughout the day. Sessions leaders explained a different aspect of agriculture at each station including a dairy cow and calf, pigs, grain production, forestry, beekeeping and soils. Other stations included watersheds and water quality, Indiana wildlife and a special Birds of Prey presentation by Take Flight Wildlife Education. 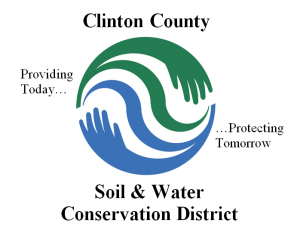 The event is organized by the Clinton County Soil and Water Conservation District and Farm Bureau, Inc. at no cost to the students who attend. Volunteers from Rossville High School Vocational Ag. class assisted session leaders throughout the day.